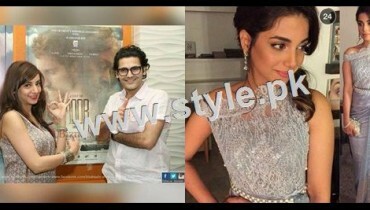 Fahad Mirza and Sarwat Gillani never miss Valentine! 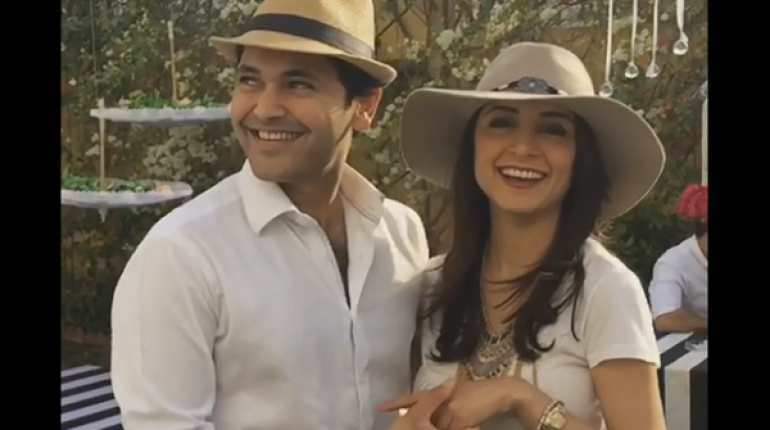 The couple, who last year featured in Cadbury’s special Valentine advertisement, celebrated Valentine’s Day 2016 in a beautiful and lovely way. 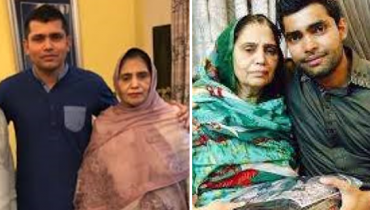 The couple which got married back in 2014, spent a quality time together on this Valentine’s and shared some lovely clicks with their fans. 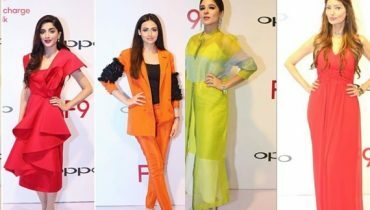 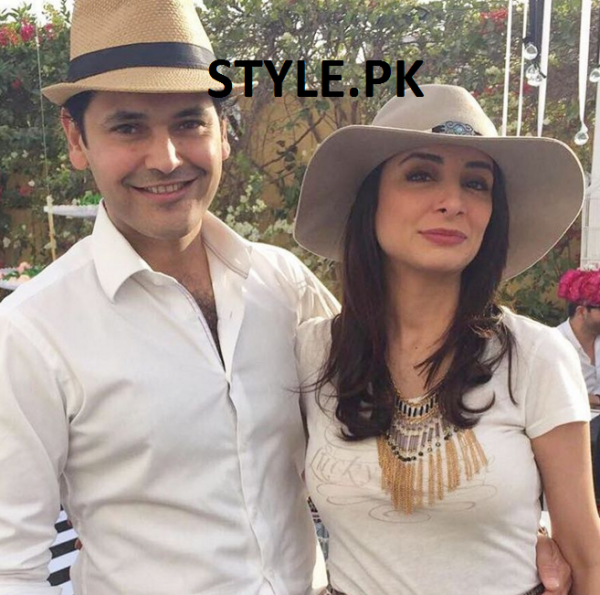 Sarwat was spotted wearing a white western dress with a hat and her spouse Fahad was also spotted in a white shirt with a hat. 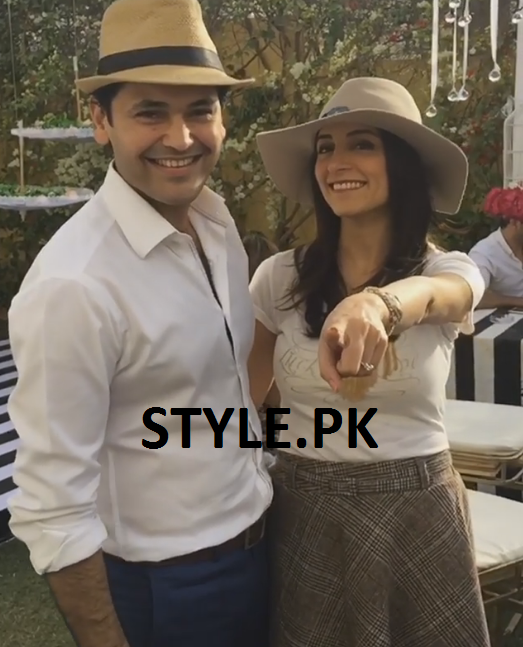 Both of them enjoyed Valentine’s 2016, in a party held in Karachi. 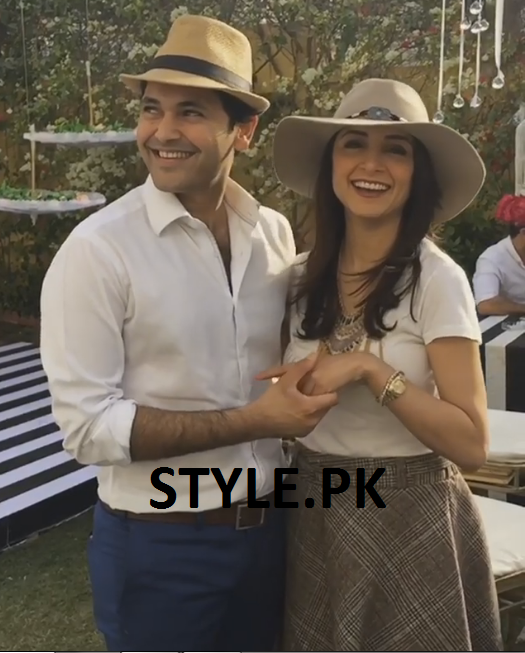 Here are the pictures of the beautiful couple Fahad Mirza and Sarwat Gillani celebrating Valentine’s Day. 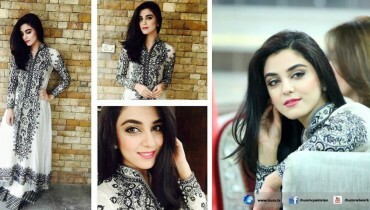 We hope that you will enjoy seeing the lovely pictures of the lovely couple! 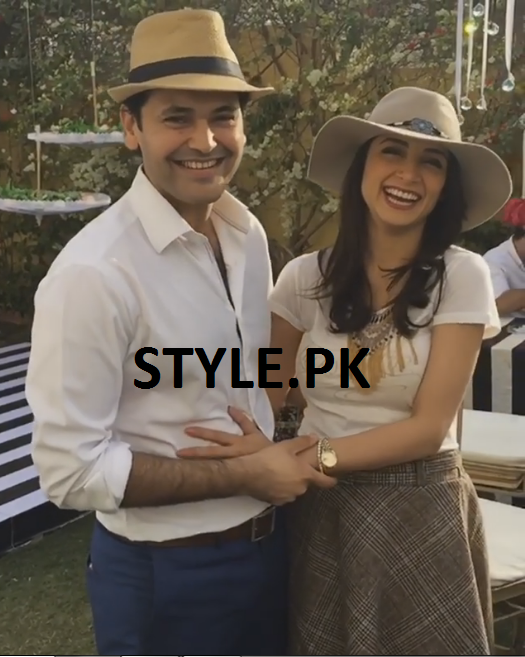 Sarwat Gillani and Fahad Mirza Celebrated Their First Baby Shower – Exclusive Party Pictures Here!